TS EAMCET 2019 Rank Card will be released in May 2019. The rank card will be announced by the Jawaharlal Nehru Technological University, Hyderabad. Students will be able to download the rank card via online mode. JNTU Hyderabad conducts TS EAMCET exam on the behalf of TSCHE. 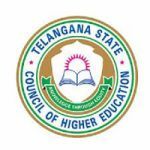 It is organized for admission in the first year undergraduate professional courses offered by the colleges/Universities of Telangana. Through this article, students can get detailed information regarding TS EAMCET Rank Card 2019 including the details of rank list, result and further procedure. Candidates can download the rank card from the official link. The link will be given above in May 2019. The authority will not sent the rank card to the candidates through offline mode under any circumstances. Students need to carry the TS EAMCET 2019 rank card at the time of documents verification. Candidates who will secure minimum 25% marks in TS EAMCET 2019 considered for ranking. The rank is provided in the order of merit based on the candidate’s combined score (75% weightage to the marks obtained in TS EAMCET 2019 and 25% weigtage to the Mathematics or Biology, Physics, Chemistry subjects of qualifying examination). TS EAMCET Counselling 2019 is comprised of certificate verification & option exercise procedure. The authority organize separate TS EAMCET 2019 Counselling for MPC & BiPC stream. The link for downloading the rank card will be enabled within a few days of the announcement of result. TS EAMCET 2019 result will be announced by the authority on May 2019. The validity of TS EAMCET 2019 rank card will be only for one year i.e. for admission to session 2019-2020. On the basis of rank in TS EAMCET 2019, students can apply for admission followed by TS EAMCET counselling 2019 including documents verification. Open the official portal of TS EAMCET 2019 (link will be given above). Click on the “Download Rank Card” link. Now, fill your TS EAMCET 2019 hall ticket number, date of birth and registration number. Thereafter, click on ‘Submit’ button for submitting the details. Take the multiple printouts of rank card for further use. If you have any query regarding TS EAMCET 2019 Rank Card, you can ask us by commenting below in the comment box. Sir/mam I have not downloaded rank card till now.now I’m trying to download but the website is not opening. I got 43point in eamcet and i pass my intermediate in supplementry 2017 bt in my rank card they didnot gave me rank instead of rank showing 10 +2 fail so sir when i get my rank . Sir I have forgot my registration no.how can I get my rankcard.plz give me rply. Sir I completed 12th in Maharashtra.My marksheet came two days ago.I appeared for bpc and scored 90 marks.But I still don’t my rank yet.What should I do? I have lost my registration number. How can I get it back. I need my rank card for counselling. I have lost my registration number how can I get my rank card. Respected sir, I forgot my registration number of eamcet examination and also I don’t have any transaction ID. My Hall ticket number is 5201179. Sir please help me by providing my registration number. I can’t able to download my rank card plz help me . Trey to get it or otherwise contact the officials. I forgot my registration number….. can I get it ? Check your registered email id and mobile number, may you will get it from there. This is Dasari Rachana S/o. Dasari Rachana.My TS Eamcet Hall Ticket No:6601233.Request you to could you pls provide my Transaction I’d and Registration No. Session is expired it is showing when I am going to download my rank card. what can I do now? please help. check your email id, which you have used while filling the form. May it will be a server problem. Just refresh the page and check once again after some time. You can download it by using your eamcet roll number. From which website should v download rank card? i dont have registration number how can i get it to download rank card?? ?where can i find my registration number?? Then how to know my rank. I had forgetten my online registration number.Then how can I download my rank card?? when did ts eamcet 2017 rank cards released ? I got 19094.iam belongs to telangana.so may I got good college in vijayawada. When ts eamcet rank card will be available time . When the rank card will be released (date)? Respected sir I got 4056 in ap eamcet.am I eligible to get AG BSC free seat. rank is not showning in the scorecard.just it sis showning marks.how to know rank can u say? Rank will be released later on.